A beautiful lawn can be destroyed in no time by one single patch of crab grass. Don’t let the name fool you. Crab grass is not a type of grass but rather a weed that smothers, suffocates, and kills beautiful lawns. The infestation is quick, and your gorgeous Binghamton area lawn is turned form a lush and lovely landscape to a thin, dead mess. The name comes from the way the weed grows. Much like a crab, it consists of a centralized location that grows out low and quickly from the center eating anything in its way. It loves the heat, and it loves dry weather. Crab grass does not live forever. It dies as the weather gets cooler in the fall, and it’s not usually a problem in the winter or spring. However, all it takes is one little patch to cause devastating and expensive damage to any lawn. It also leaves behind tens of thousands of seeds that wait patiently for the weather to change in a few months. This means it’ll take only a few weeks when the warm weather arrives to germinate and cause your lawn to die. At A Great Choice Lawn Care & Landscaping, we have ample experience killing and remove crab grass to control it and save your lawn. There’s more than one way to control this pesky weed and save your lawn, and none of them involve tearing up your entire lawn and starting over from scratch to grow lush grass. If you know anything about crab grass, it’s not uncommon for you to feel this is your solution. 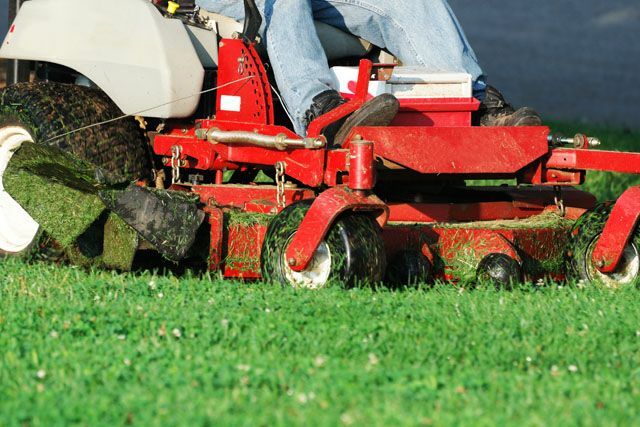 At A Great Choice Lawn Care & Landscaping, we have solutions that are less dramatic and more effective. Herbicide is a way to control crab grass, but it’s not one we recommend unless a homeowner wants it. 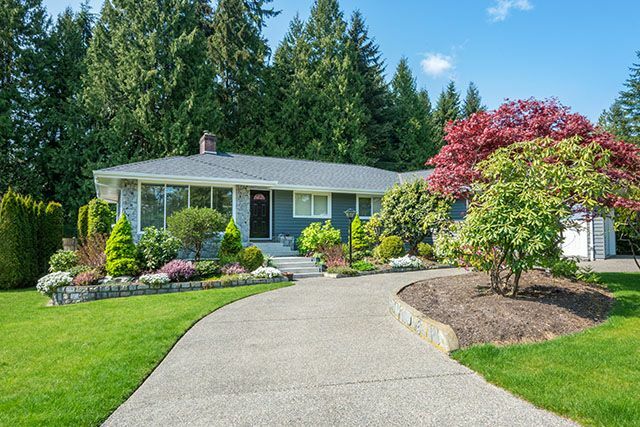 It’s a dangerous option because it kills other vegetation you don’t want to kill but if you are going to use it, let the professionals at A Great Choice Lawn Care & Landscaping handle it so we can prevent it from affecting your other vegetation. Re-seeding is an option that only works if it’s done at the right time, and many homeowners don’t know when it’s the right time to seed their lawn. Let our professionals help you make the determination now so you can have a gorgeous lawn before much longer. When you re-seed, the new seed can suffocate and kill crab grass seed by making your lawn stronger. The best way to control crab grass from infesting your lawn is proper maintenance and a well implemented weed control service. When we work on mowing your lawn regularly, fertilizing the lawn, and watering the lawn when it needs it, crab grass is more easily controlled. This is one of the biggest benefits of allowing our landscape company to handle your basic lawn maintenance throughout the year. If we find crab grass, it’s early enough for us to kill it, remove it, and prevent it from growing out of control and killing your lawn. We prefer to apply our control in the spring to keep it from emerging in the first place. This allows us the most control of the crab grass, which can cause your lawn to live. We are in the business of making lawns beautiful, and that sometimes means handling pesky infestations when they crop up. Crab grass is easily recognizable because of its course nature and its very crab-like appearance. If you think you see some in your lawn, don’t wait to handle the situation. It grows quickly and spreads rapidly and will quickly take over your lawn. This means ignoring crab grass for a week or two while you decide how to handle it can mean one patch turns into enough crab grass to kill your beautiful lawn. Call us today at (607) 729-3451 to discuss your crab grass issues with one of our professional landscapers.